My assigned model wasn't able to make it (she overslept, wtf? so unprofessional) so I styled Starstruck-er Stef instead as the substitute. She was so much fun to work with! She's so bakla like me. Hehe. I also semi-styled another starstruck-er (sorry can't think of a better term) Jade. Only 1 outfit was used on Stef, the other 2 were placed on mannequins. i was told that carmina design shoes--and this is one of them. Cute. i just had to share--Sheree and her party pilipinas peg. exec.producer who was super nice to us:) thanks for the free fan! but he gave in na din.Hee. Oh and as promised, here are my loots from last week's Blogger's Closet sale. white draped blazer for P150! love that lace dress! been looking for one for quite some time. sayang it's the last piece! PAX! i love that f21 dress and the topshop cardi! congrats, Pax! the beige lace dress is so cute! very you talaga. totally loving those blue wedges! wow pax. your gigs are so awesome! 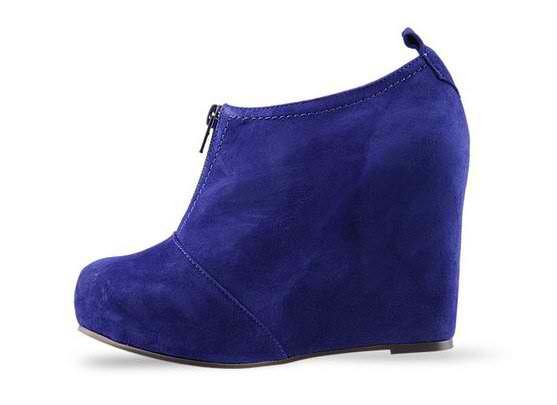 the wedges from chickflick are soo nice too. Marc Jacob's dress is a steal!